Once again it’s time to let you know a bit more about VALA people. This time it’s Olli’s turn. 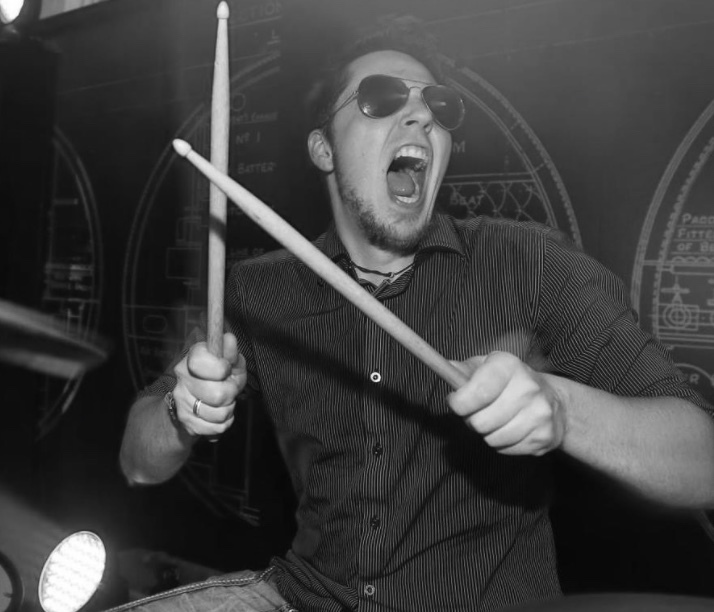 Olli is a software tester (future programmer) and maybe the best drummer at VALA. Oh hi there. Doing good, weather could be better, but at least we had a few days of summer this year. What kind of year you’ve had so far? Any plans for the fall? The year has been good so far, lots of new stuff learned and colleagues met. I have my summer vacation in October so anxiously looking forward to that (if there’s anything left of Miami when I get there). Rock of course! Or Metal if you want to be more specific. My hobbies revolve around music, as I play and listen to it vigorously. Besides music, I’m also a devout gamer. About VALA: It’s safe, it’s warm. It’s home. Tell us a story behind one of your tattoos? I have a lot of Japanese style tattoos, which all have a specific meaning to me. The project is still ongoing, two large tattoos left to create my masterpiece :D. Maybe I’ll tell the story when it’s finished. Name one good and one bad thing about VALA? One good thing is that VALA really takes care of their employees and really care about their wellbeing. The bad thing, if I have to say something, is that as a consultant you don’t get to spend as much time with your VALA co-workers as you’d like to. I would like to someday migrate from QA to the dark si……. The developer side. I liked the atmosphere and the attitude of the company. Which one is more interesting, game testing or mobile/web application testing? Why? Game testing for sure. As I’ve been a gamer all my life, nothing would be more suitable and exciting for me to do for a living than to work with games. What would you like to learn next? Why? Programming. I would like to someday migrate from QA to the dark si……. The developer side. Augmented reality. VR helmets are making their way into games and other consumer products, so AR would be fascinating to see on a larger scale also. How do you feel about VALA? It’s safe, it’s warm. It’s home.